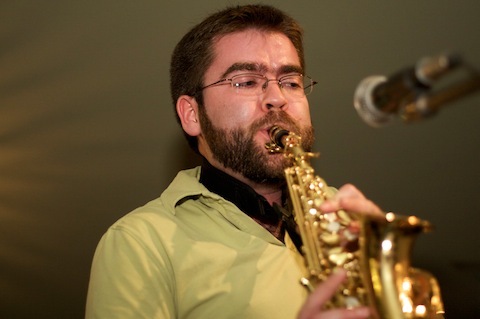 Please join us in congratulating Mark Laver (ICASP Postdoctoral Fellow 2011-13) who has accepted a position as an Assistant Professor of Music (Jazz) at Grinnell College (Iowa, U.S.). His research explores intersections among jazz, improvisation, neoliberal capitalism, and consumption. His forthcoming book, Jazz Sells: Music and Marketing (Routledge) examines the use of jazz in advertising, marketing, and branding. Keep an eye/ear out for his book, and look for Mark at future IICSI events! 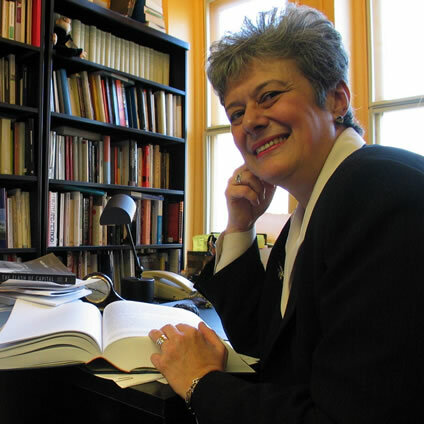 Dr. Linda Hutcheon, an Officer of the Order of Canada and University of Toronto Professor Emeritus, is a recognized scholar of adaptation theory as well as an ICASP Advisory Board member. In the following email interview with ICASP graduate student Stephanie Hill, Dr. Hutcheon talks about the relationship between improvisation and adaptation. Her seminal book, A Theory of Adaptation, is an extensive and multi-contextual survey of contemporary adaptation. In it, she challenges the fidelity model of adaptation and speaks to the driving forces behind the creation of adaptations. Given Dr. Hutcheon’s participation in interdisciplinary and collaborative scholarship and her work in “what art teaches us about theory” (“Linda Hutcheon”), Stephanie Hill was eager to hear what Hutcheon might have to offer in terms of a comparison between improvisation and adaptation practices. 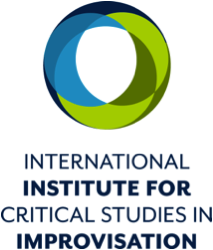 Dr. Hutcheon’s support of ICASP in combination with her expertise in adaptation studies give her a unique positioning from which to consider the two fields together. As Hutcheon puts it in the interview: "Well, not all adaptation is improvisation, as I understand it. First of all, improvisation is usually (always?) extemporaneous, isn’t it? And most adaptation is not. But improvisation very often involves adaptation. It might be a matter of degree, ranging from (in music) free jazz to jazz 'standards.' In other words, if a musical piece is an improvisation on a theme (melody) or the notes of a chord (harmony), or maybe even a song form or style, it would definitely be considered an adaptation of that element. In other words, adaptation is the word we tend to use to describe an overt and indeed defining relation to another prior text: it is an adaptation OF something." Photo by Brett Weinstein. Wikipedia Commons. "The idea that improvisation is created ex nihilo is one that practitioners and theorists continue to push against. Spontaneity relies on a discipline of readiness and an awareness of one’s environment. Hard work and commitment underlie the seemingly impulsive spontaneity of a performer’s gestures. Consider improvisation as ebb and flow between internalized skills and extemporaneous utterances, a continuous probing of acquired knowledge to pursue an adapted, and adaptable, form of expression. The articles in this issue of CSI-ECI investigate this alternate backward and forward movement on a number of planes—historical, cultural, and individual." 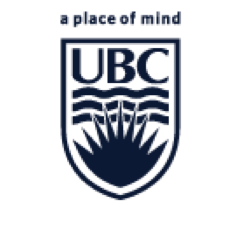 Improvising Across Borders Colloquium to be held Saturday, June 21st and Sunday, June 22nd, Robson Square Room C 400, at UBC (Vancouver). Admission is free. Full program available here. 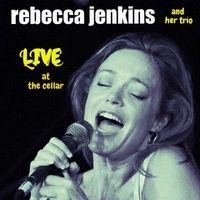 Rebecca Jenkins and Her Trio, Live at the Cellar was recorded in February 2014 at The Cellar in Vancouver. Bakan is the partner of Jenkins and the album features their son Myim on drums, and Bruce Meikle on bass. There is an album release party in Toronto at the Jazz Bistro, July 3 and 4, with Vancouver and other cities to follow (dates TBA). Check the music out on iTunes, Amazon.com, and CD Baby. We invite submissions of Think Pieces that range from 750-1250 words (approx.) and explore improvisation as it applies to different sites of theory, engagement, and practice. The papers can be creative or theoretical in nature, but should explore some aspect of improvisation and its possibilities for critical analysis, social action, and/or social belonging. A general format for the title of each piece should be as follows: “Think Piece: Improvisation and ______”. Papers do not need to be fully developed or scholarly in nature, and may seek to pose questions for future research. Submissions and questions should be directed to Mark Kaethler at: mkaethle@uoguelph.ca. 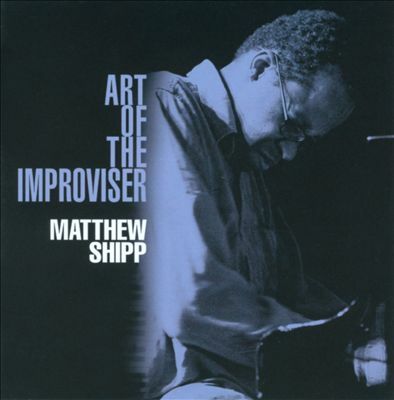 Pianist Matthew Shipp is a contemporary iconoclast of the jazz tradition; his music embodies the jazz cadences of pianists like Monk and Evans, brilliantly filtered through his unique musical personality and forward thinking. Few artists possess the raw technical command that Shipp does of the piano, as he dances among clouds of sound through dense chording, displaying a flair for mixing the melodic with the abstract, the classical with the free, blending assorted atonal qualities with an unmatched alacrity of emotion on the piano’s 88 keys. On numerous occasions, Shipp has cited private lesson with Dennis Sandole (who also taught John Coltrane) as crucial to his musical development. 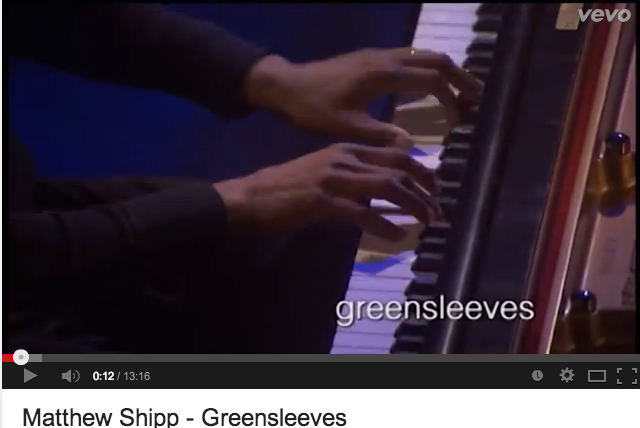 After these private lessons, Shipp attended the New England Conservatory of Music for two years. But it wasn’t until his move to New York City in 1984, when Shipp met free jazz luminaries like William Parker, that he gradually began to make a name for himself in the avant-garde music world. Since the early 1990s, Shipp has been incredibly active, appearing on dozens of albums as a leader (I count over 50 records released under his name), sideman, or producer. 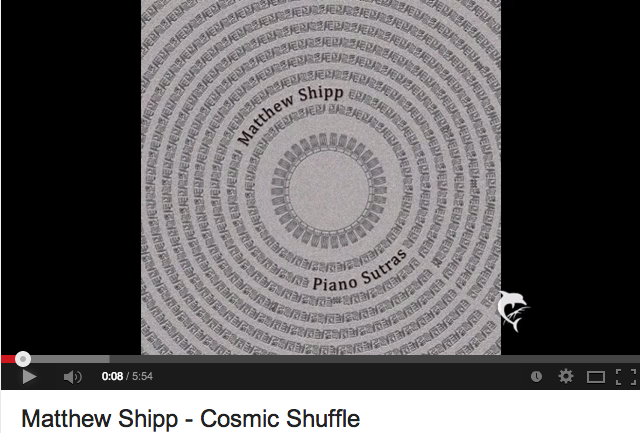 While earlier in his career Shipp was primarily associated with free jazz, his recent efforts, particularly since the 2000s, foray into contemporary classical music, electronica, and hip-hop, as in the unique collaboration—fully in the nature of experimentation—with hip-hop collective Anti-pop Consortium on Antipop vs. Matthew Shipp. 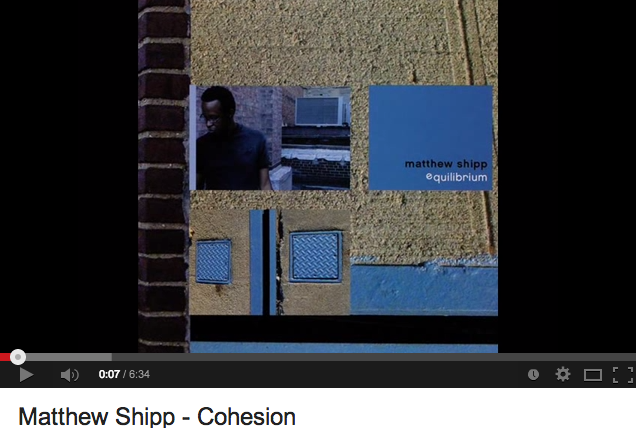 Shipp’s music remains distinctive and encapsulates, as Henry Rollins describes, the “visceral and raw endeavor” of great jazz music. March 8-10, 2015, Georgia State University, Atlanta, Georgia. Presented by GSU School of Music, Neuroscience Institute, Department of Mathematics and Statistics, & the Center for Collaborative and International Arts. Submission Details: We seek related papers and posters describing completed or in-progress work from both faculty and graduate students. Paper presentations should be 20 minutes in length and include visual slides. Please submit an extended 350-word abstract including purpose, literature review, methodology, and findings (final or preliminary). Those interested in a poster presentation may submit a shorter 250-word abstract with the same, though abbreviated, information. All proposals will be blind-reviewed by a panel of experts. Do not include the author(s)’s name(s) or other identifying details in the proposal. Attach the proposal as a Word or PDF file to an email that includes the author’s name(s), email address(es), home and work addresses, and academic affiliation(s).Send proposals to Martin Norgaard at mnorgaard@gsu.edu. Submissions must be received no later than October 15, 2014, and notifications will be made by November 15, 2014. Accepted presenters will be invited to submit full papers to a follow-up special issue of Psychomusicology: Music, Mind, and Brain on improvisation, to be published in September 2016. 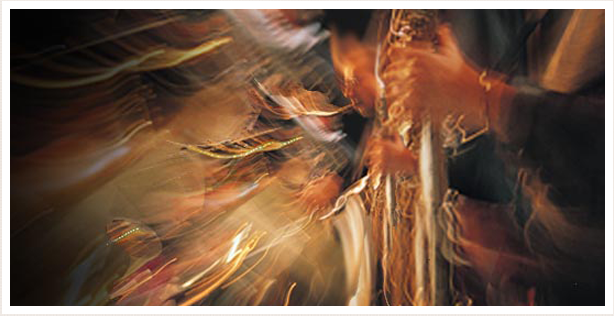 For more information and updates on the Improvising Brain Concert & Symposium, please visit their website. Please address questions to Martin Norgaard at mnorgaard@gsu.edu. The renowned African American poet, writer, and activist Maya Angelou has left the planet. She was 86. She is most known for her bestselling autobiographical work, I Know Why the Caged Bird Sings, which gets its title from Paul Laurence Dunbar’s line from his poem, “Sympathy.” Dunbar’s “Sympathy” was a cry against slavery of all forms, as well as about the shackles that imprison the poet amid cyclical prejudges he feels incapable of destroying. Angelou’s own work was about dispelling prejudices to envision a more just society. She writes, “Prejudice is a burden that confuses the past, threatens the future and renders the present inaccessible.” In I Know Why the Caged Bird Sings, she describes how her mother told her that she must “always be intolerant of ignorance but understanding of illiteracy. That some people, unable to go to school, were more educated and more intelligent than college professors.” These lines are an important reminder, especially for us erudite types, that we don’t have all the answers. The notion of absolute authority can be extremely dangerous—for who gets to decide what is true is a matter of power. Education takes many forms, as Angelou poignantly points out that her education was an improvisatory process that often took place outside the classroom: “my education and that of my Black associates were quite different from the education of our white schoolmates. In the classroom we all learned past participles, but in the streets and in our homes the Blacks learned to drop s’s from plurals and suffixes from past-tense verbs. 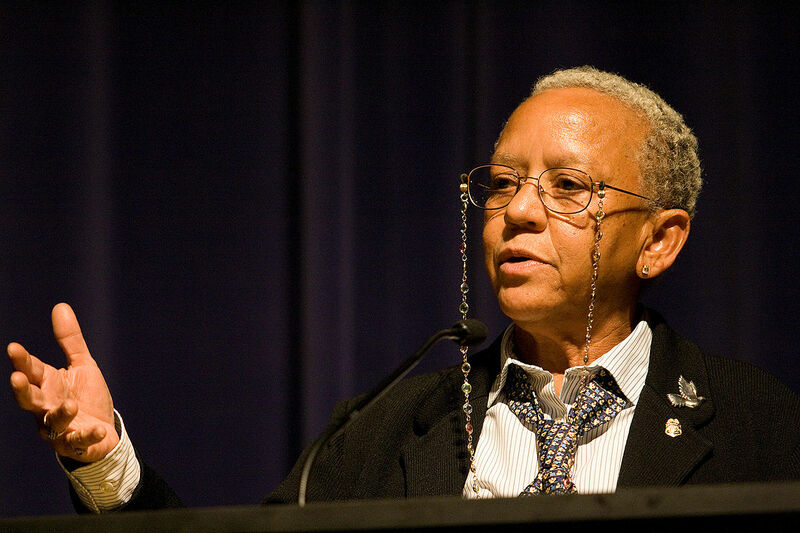 We were alert of the gap separating the written word from the colloquial […] It be’s like that sometimes.” She was truly an inspirational person, who endured and overcame much, and although she is now gone, she leaves a lasting literary and civil rights legacy. For a brief video on Angelou’s life, click here. 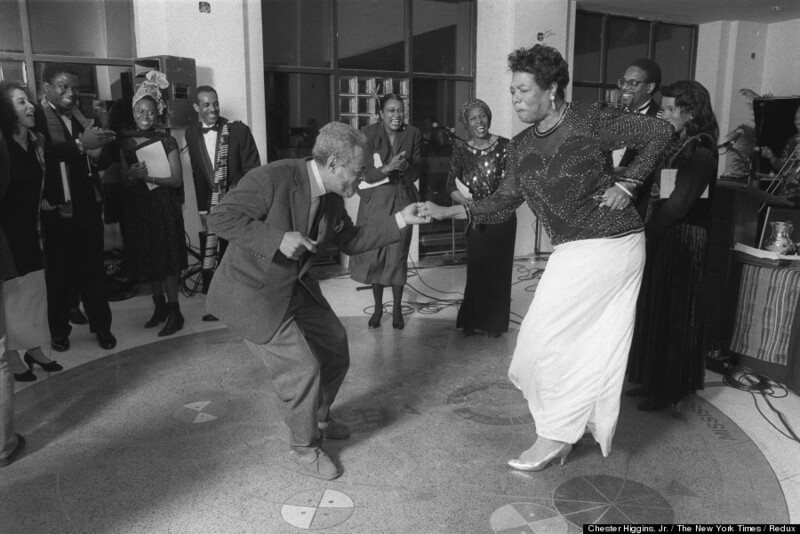 Featured Image: Amiri Baraka and Maya Angelou dance on the 89th birthday of the poet Langston Hughes at the The Schomburg Center for Research in Black Culture, where Hughes’ ashes were buried beneath the floor, in New York, Feb. 22, 1991. 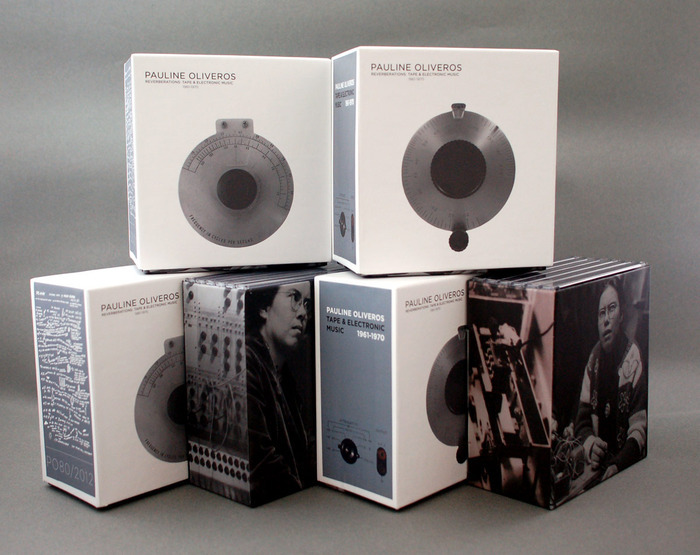 Pauline Oliveros' groundbreaking "Reverberations: Tape + Electronic Music 1961-1980" box set is in need of a re-press. Pauline Oliveros' Reverberations: Tape + Electronic Music 1961-1970 12CD box set has been out of print for almost two years and is in need of a re-press. For less than the price of a used copy on Discogs or Ebay you can get a signed box set delivered to your door. (Currently you can get a sealed box on Discogs for $410.00). As soon as the goal is met we'll order the re-press which will, hopefully, be in-hand for the Deep Listening Conference at EMPAC July 10-13. 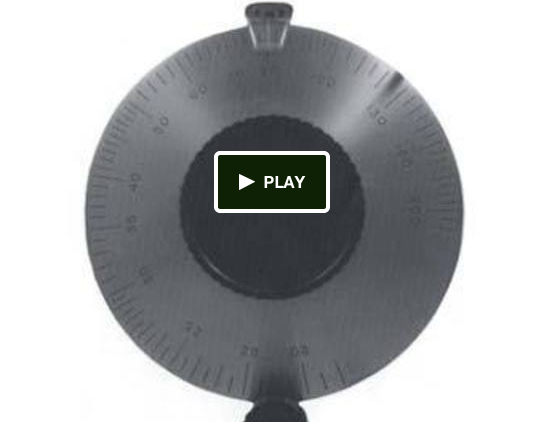 View the Kickstarter campaign, here. 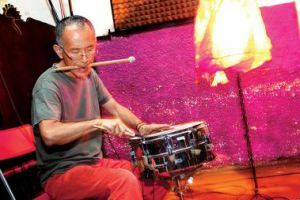 Agustí Fernández – Atelier Tools of the Trade: June 18, 2014, noon, Sala Rossa. Leading Spanish pianist and instructor who has performed with Evan Parker, Derek Bailey, Peter Kowald, Barry Guy amongst others. Will discuss Free Improvisation. Bring your instruments. Howl! Art + Activism : Panel Discussion, Anti-Capitalist Art: June 21, 2014, 1:00pm, Sala Rosa Restaurant Espagnol. For more information, please visit their website. Free and open to all! Gratuit et ouvert à tous! Improv Notes was initially distributed in 2008 as a quarterly newsletter. Since June 2011 the revamped Improv Notes has been assembled, written, and distributed on a monthly basis by ICASP's Media and Public Relations Coordinator, Paul Watkins. If you have anything improvisation related that you would like to have included in the newsletter, please send an email to Paul at: icaspweb@uoguelph.ca. Want to read past newsletters, or refer a friend to the monthly newsletter, then please do!